Perfectly matched with our metal ceiling roses. This chrome metal E27 lamp holder, with its linear and elegant shape, will fit perfectly into any setting, be it modern or vintage. Available also in the following tints: white, black, copper, brass and black pearl. 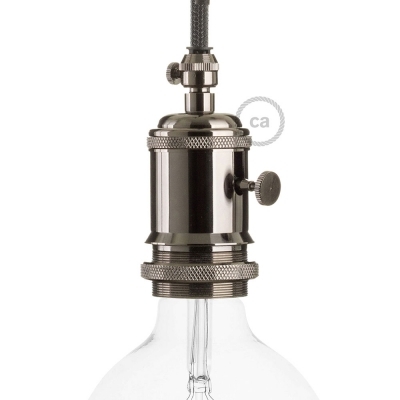 Cylinder lamp holder kit comprised of chrome cap + E27 lamp holder + transparent cable retainer, ideal for creating a pendant by combining it with your preferred (not included) fabric cable with the ceiling rose. Silver metal lampholder, E14 light bulb fitting, double ferrules. Auburn metal lampholder, E14 light bulb fitting, double ferrules. 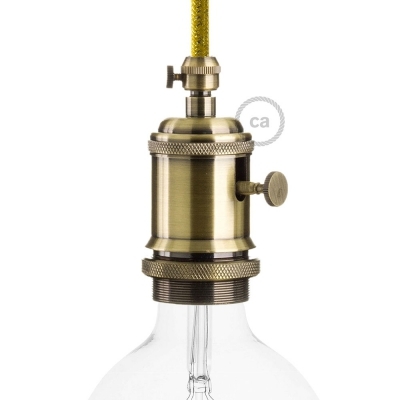 Brass metal lampholder, E14 light bulb fitting, double ferrules. 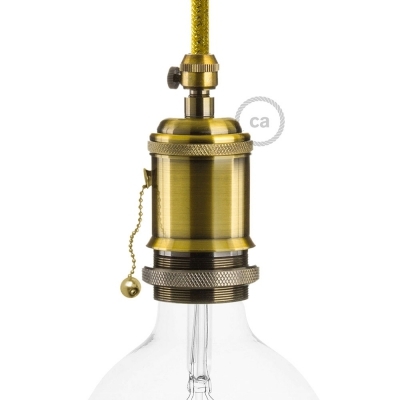 Auburn metal lampholder, E27 light bulb fitting, double ferrules. 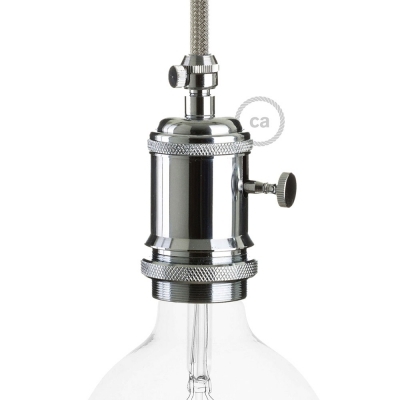 Silver metal lampholder, E27 light bulb fitting, double ferrules. Black pearl metal lampholder, E27 light bulb fitting, double ferrules. 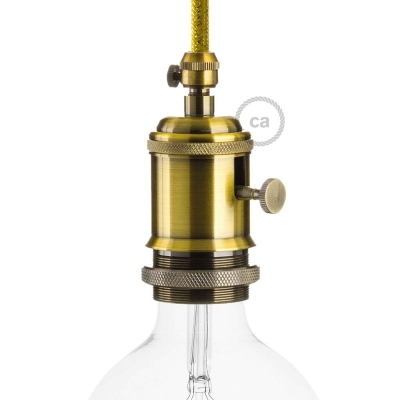 Brass metal lampholder, E27 light bulb fitting, double ferrules. 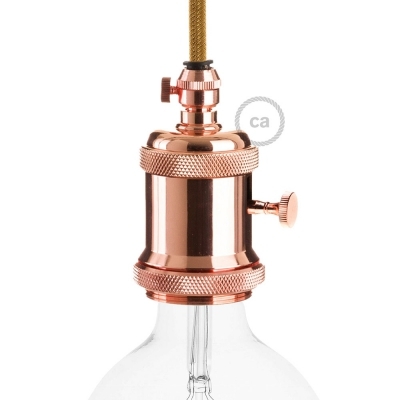 E27 Vintage copper finish Copper Lamp holder with pull switch and screw on cable retainer. 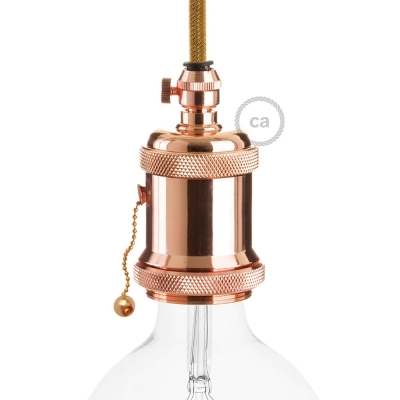 E27 Vintage brass finish Copper Lamp holder with pull switch and screw on cable retainer. 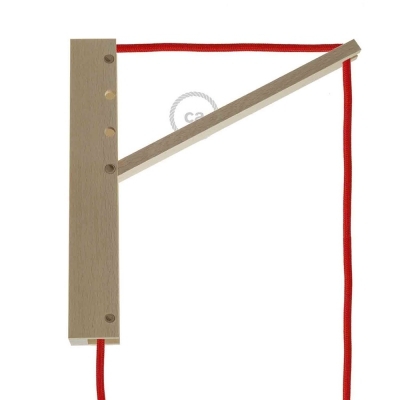 Wooden ceiling rose kit for textile cable complete with accessories. Made in Italy.